Ani said this during an interview on Sunrise Daily, a Channels Television programme, on Wednesday. The former NYSC director, who was in charge of deployment of corps members, said Brig. Gen. M. I Tsiga was the Director-General of the NYSC in September 2009 but curiously, it was Brig. Gen. Yusuf Bomoi, who purportedly signed the one belonging to the minister. Ani added, “The certificate that I saw, that one that I saw if it is the one that they are talking about, the one I saw online, it was not issued by NYSC. I don’t know who issued it. It was not issued by NYSC because what I saw there, the signatory to that certificate was our DG (Gen. Bomoi) who left in January and Gen. Tsiga took over from Gen Bomoi. He said it was impossible for the NYSC to have issued a certificate of exemption to someone who graduated below the age of 30. Ani maintained that the only persons exempted from service were those who had served in the police, military or graduated above the age of 30. The former NYSC director said a person who was 60 years of age would be made to serve if he or she graduated below the age of 30. He added, “If you are above 30 even by one day, you will be exempted but if you are below 30 or you are 30 at the time of graduation, you will be deployed. 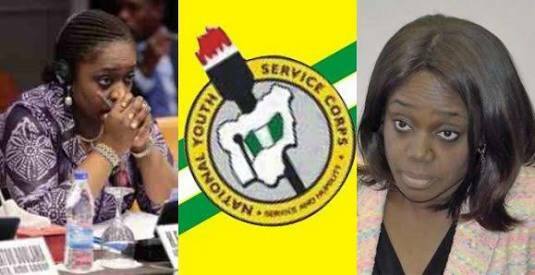 Ani noted that it was a crime for anyone to present a forged NYSC certificate to an employer. He said all employers were mandated to demand NYSC certificates before hiring graduates.